At Zinda Law Group, we are committed to each one of our clients on an individual level. We know that you need a compassionate advocate whom you can trust and who will be aggressive in the courtroom. You should also know that our firm will charge you nothing unless we make a recovery on your behalf, so you have nothing to lose and everything to gain by contacting us. You can experience our high quality of legal professionalism for yourself when you call our firm today at (800) 863-5312, or fill out one of our case evaluation forms. We are available 24/7, nights and weekends. If you or your firm is interested in partnering with Zinda Law Group for personal injury case referrals, please visit our Attorney Referrals page for contact information. Looking for a knowledgeable legal source for your news story or segment? Visit our Media & Press page to contact one of our personal injury attorneys. Interested in working at a rapidly growing personal injury firm? Visit our Careers page to see a list of open positions. 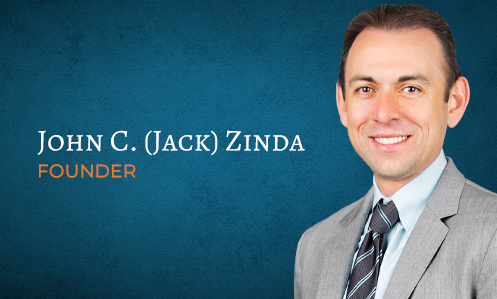 Zinda Law Group prides itself on improving lives and giving back to our community. If you have an organization or cause you would like us to support, please visit our Community Support page to learn how we can help.